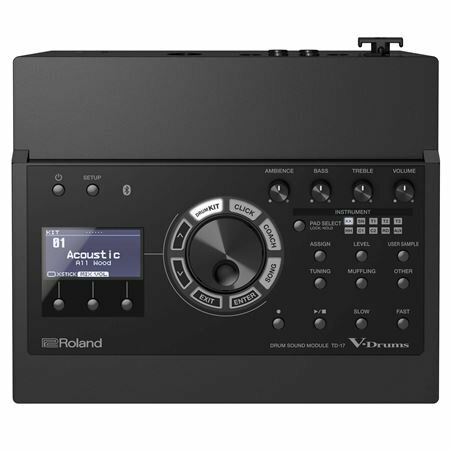 Order your Roland TD17KLS V-Drums Electronic Drum Set from AMS and enjoy 0% Interest Payment Plans, Free Shipping, Free Extended Warranty & 45 Day Money Back Guarantee. 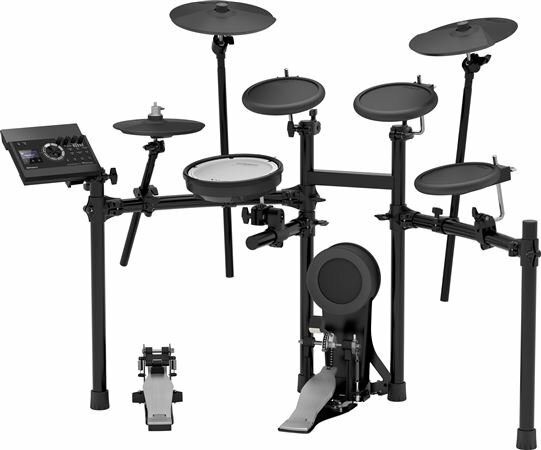 The Roland TD-17KL is the base model set in the brand-new TD-17 series V-Drums lineup. 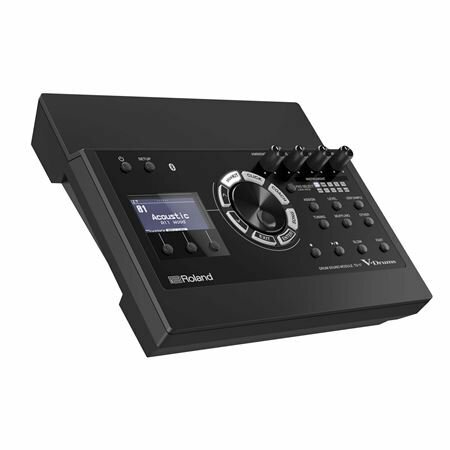 The TD-17 includes over 300 new instrument sounds, 100 user kits, and allows you to import samples in WAV file format from a separate SD or SDHC card (not included). 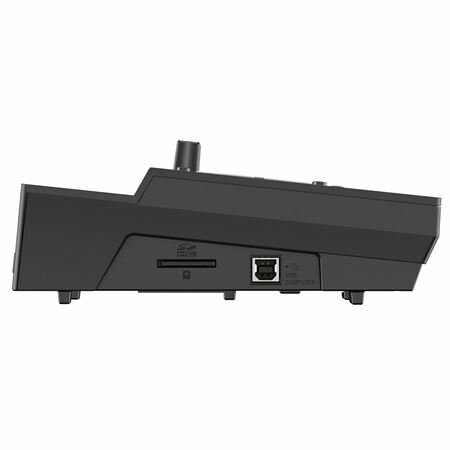 This comprehensive module brings with it several additional performance and production-ready features, including an easy-editing mode, a song recorder, and the ability to stream WAV or MP3 files of an SD Card. 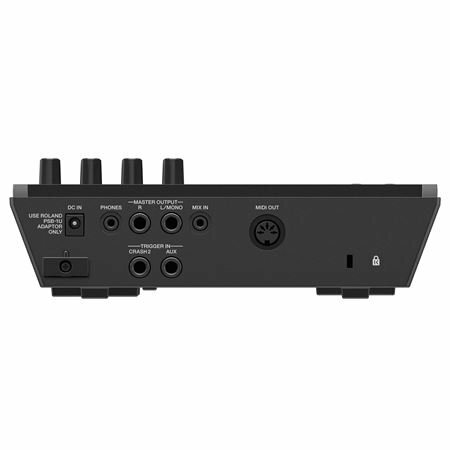 The TD-17 makes connecting your V-Drums with other devices easy – you’ll enjoy high-speed USB Audio/MIDI connectivity options. 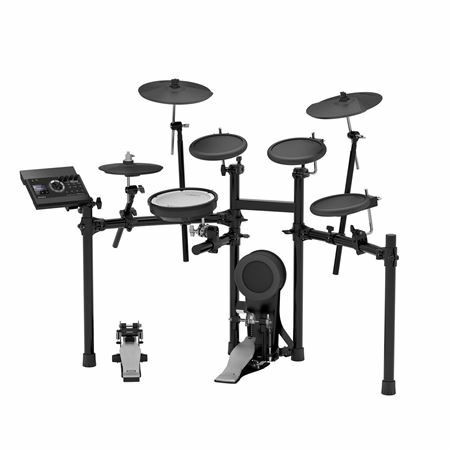 In addition to a stylish black finish and compact footprint, the Roland MDS4V Rack for the TD-17KL features a solid center-horizontal joint bar and lower weight balance for improved stability. Compatible with your V-Compact Series V-Drums, the MDS4V allows you to set up your gear quickly and securely. Weight: 8.5 kg / 18 lbs. 12 oz.